This was another combined ops model for the same bloke as before, Roger White. I made the gun carraige as usual from 40 and 60th card and all the smaller fittings from various strip, rod and tube. The barrel was an old paint brush with just the right taper and then fitted with plastic card breech block and gun slide. 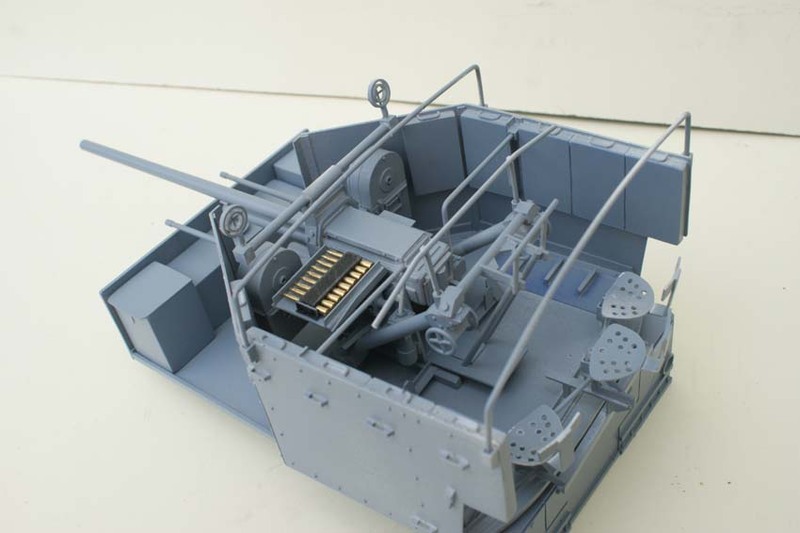 The Twin M/Gs are from the trumpeter kit with extra mags fitted around base of gun tub. 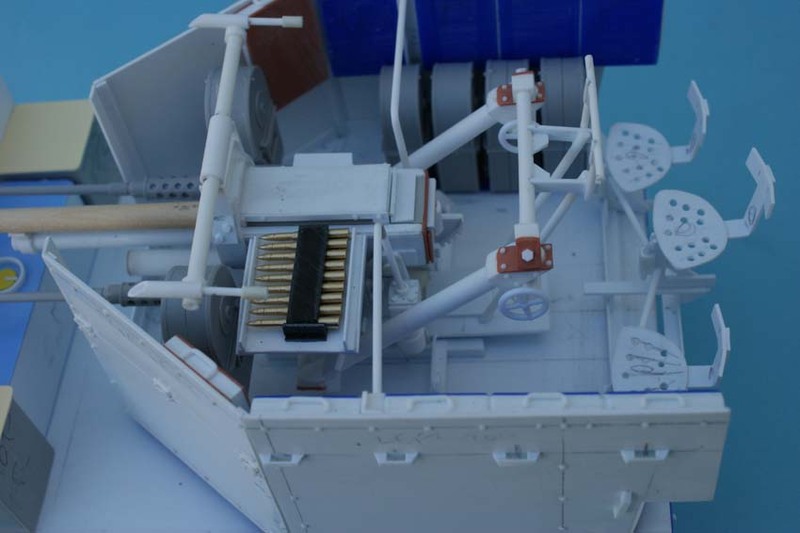 The 37mm shell cases are from plastic card and fitted to the upper edge of the tub. When my bit was done I sent it to Roger and he had it finished off.